In 1998 three heavily armed "survivalists" came out of the Four Corners canyons in a stolen truck. They murdered a policeman, had a shootout with pursuers, and then vanished-eluding a manhunt that eventually involved hundreds of officers from more than twenty federal and state agencies. The crime and the bungled FBI investigations left behind a web of mysteries: Why did one of the bandits kill himself? How did the others escape? Why has no one in this impoverished area claimed the huge reward the government still offers? Most puzzling of all, what crime were they en route to commit when Officer Dale Claxton stopped them-and paid for his bravery with his life? The time is now, and the memory of the mishandled manhunt of 1988 is still painfully fresh. Three men stage a predawn raid on the Ute tribe's gambling casino. They kill one policeman, wound another, and disappear in the maze of canyons on the Utah-Arizona border. The FBI takes over the investigation, and agents swarm in with their helicopters, their high-tech equipment, and a theory of the crime that makes a wounded deputy sheriff a suspect. This development calls Chee in from his vacation, and a request for a favor draws in Leaphorn. 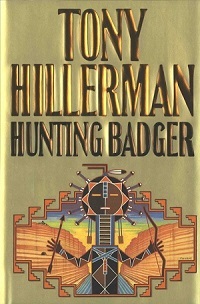 Chee finds a fatal flaw in the federal theory, and Leaphorn sees an intriguing pattern connecting this crime with the exploits of a legendary Ute hero-bandit.